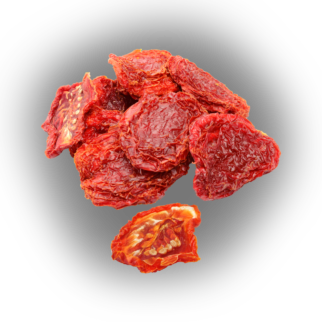 Sun-dried tomatoes are incredibly flavorful and used as ingredients in many types of sauces, spreads and salad dishes. Red River sources our tomatoes primarily from Turkey, where great care is taken in their preparation. Once fresh tomatoes have been washed and sized, they are cut in half. The halves are cured with sulfur dioxide and sundried. and magnesium. They are the perfect addition to many pastas, salads, as part of a cheese plate, or on a sandwich.